PROGRESS Wrestling has today confirmed that top independent star, Jonah Rock will be making his highly anticipated debut for the company at its Chapter64 event. PROGRESS has revealed that Rock will go one on one with of the UK’s very best, Zack Sabre Jr at the event which takes place on February 25 at the Electric Ballroom in London, England. Chapter 64: Thunderbastards Are Go will feature Rock vs Sabre and will be main evented by Travis Banks defending the PROGRESS Championship against Matt Riddle. 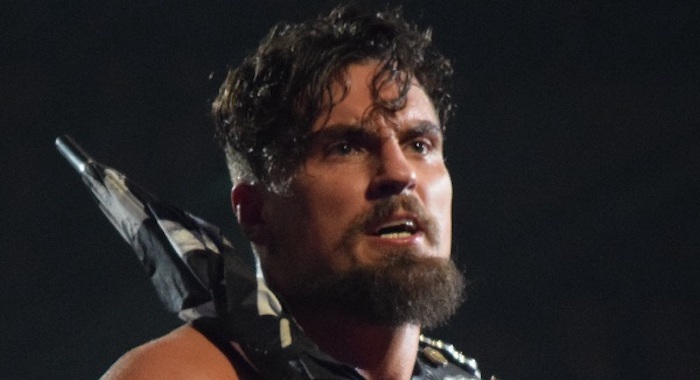 Bullet Club member, Marty Scurll released two new pieces of merchandise on pre-release this week and he has revealed they have sold out already. Because of the incredible demand, he will be increasing the length of the pre-sale for the shirts, so be sure to pick one up if you’re interested. Both designs sold out in first night of sales, thank you numpties, you are incredible! Due to popular demand, we're extending the pre-sale to the end of the week. 5 Star Wrestling returns this evening, taking place in Sheffield, England, and one of its stars, El Ligero has been hyping the show which has a sentimental meaning for him. Ligero tweeted about when he was just 9-years-old he attended a WWF show at the Sheffield Arena and saw Hulk Hogan, later seeing Stone Cold vs The Rock in the same building. Today he is wrestling there for the very first time on live TV, a special moment for him. In 1993, when I was 9 years old, my Mum and Dad took me to see a WWF show at Sheffield Arena, headlined by Hulk Hogan. In 1999, I went to watch Stone Cold Steve Austin vs The Rock in the same arena. Tonight, I get to wrestle in that same building for the first time, on live TV.